Don't let your cooling towers get your building sick. Dirt, sludge and other deposits are breeding grounds for dangerous bacteria growth. An ongoing maintenance program is the only way to keep towers, chillers and the people around you healthy. 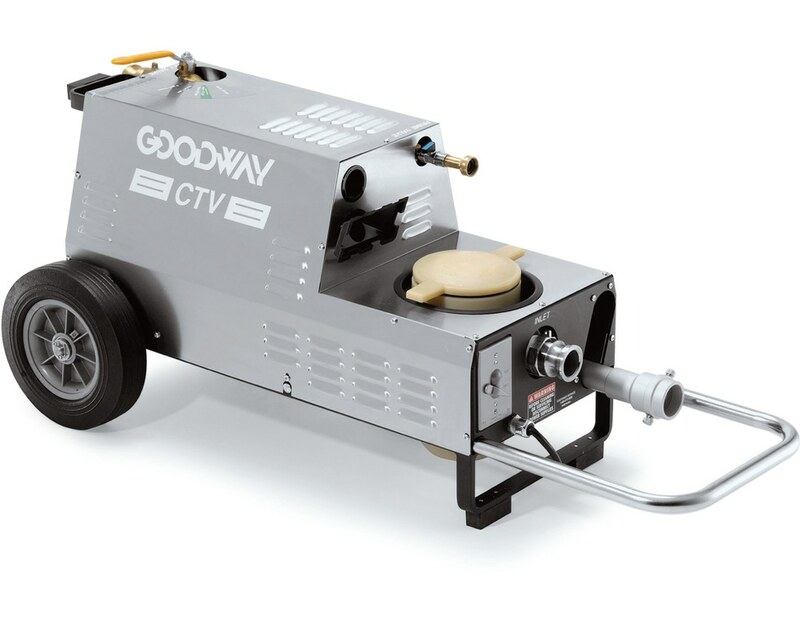 The CTV-1501 TowerVac® Cooling Tower Vacuum safely removes cooling tower bacteria, like Legionella and other micro-organisms, quickly and easily. 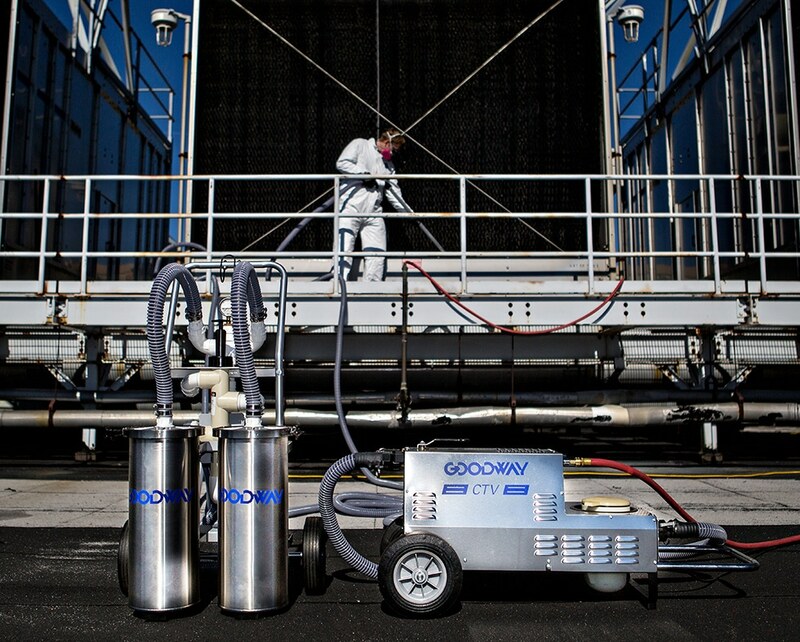 Vacuum away bacteria-filled slime, algae, mud and other contaminants from the sides and floor of any cooling tower basin or sump, without having to drain the system or shut it down. Saves time and saves water loss! This Innovation Award Winner features an adjustable flow control that allows you to clean at a recovery rate of up to 60 GPM. 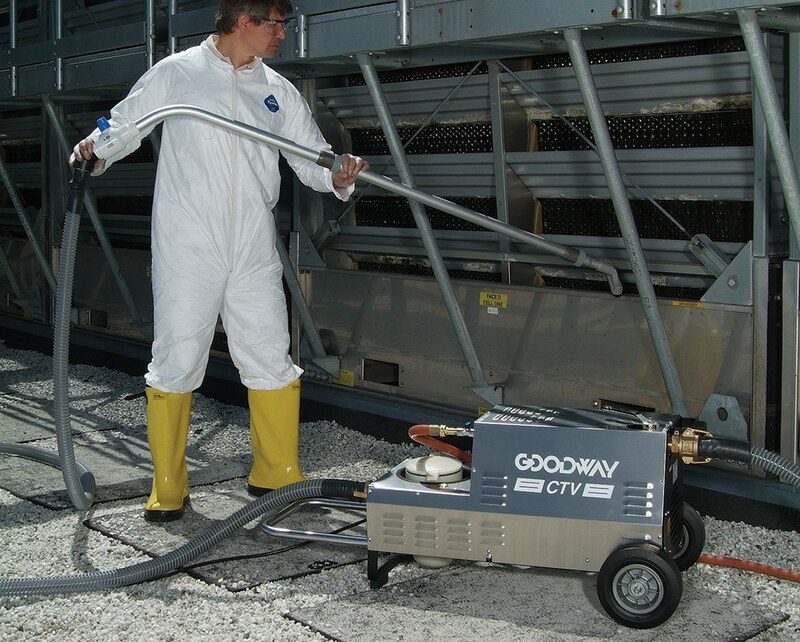 Goodway cooling tower products help meet and exceed ANSI/ASHRAE Standard 188-2015, a standard for managing the remediation of Legionella in commercial building water. Don't allow dirty water in your cooling tower to cause Legionnaires' outbreaks, foul chillers, rob efficiency and drive up your energy costs. CTV-1501 15' inlet hose, 25' outlet hose, 4' pickup wand, 6" gulper tool and a storage bag. Keep cooling towers clean and well maintained as part of an overall safety and health improvement of your facility.